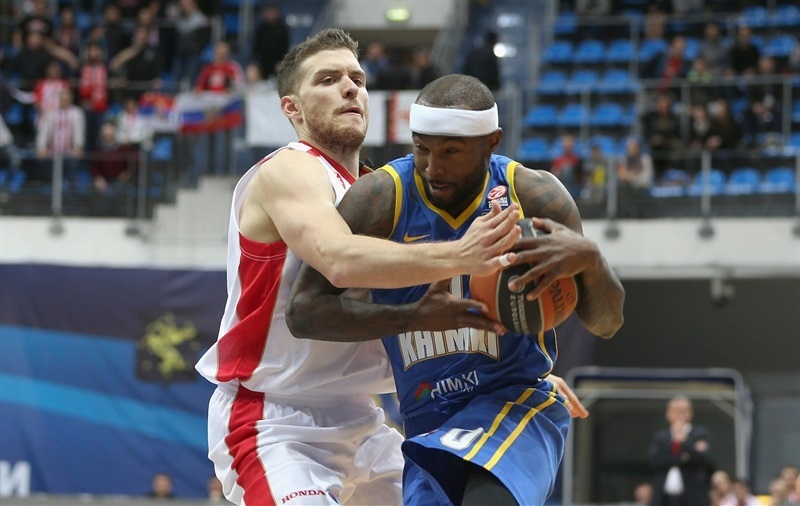 Khimki Moscow Region needed few minutes to get things going, but used a dominant second quarter to pave the way to 91-53 win over visiting Crvena Zvezda Telekom Belgrade on Friday at the Krylatskoye Sports Palace. 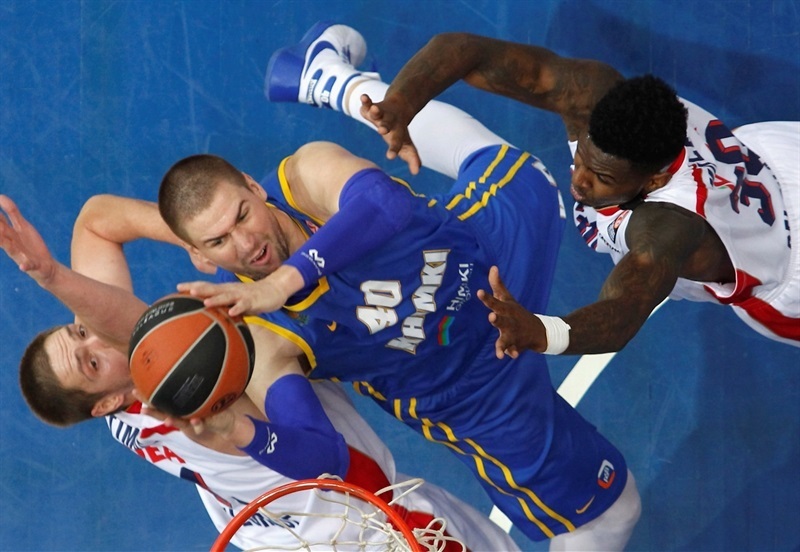 It was the biggest-ever win for Khimki in Euroleague, improving it to 2-1 in Group A, while Zvezda dropped its second consecutive game and stands at 1-2. The visitors did open the game in a higher gear, but Zoran Dragic got Khimki going and then led by Alexey Shved the hosts went on an 18-2 charge to take a comfortable 51-30 halftime advantage. The margin did not stop growing after the break, and it broke the 40-point barrier early in the fourth quarter after a 19-3 run. The biggest lead of the night was 87-43. James Augustine finished with 14 points, 5 rebounds and career-best 4 blocks. 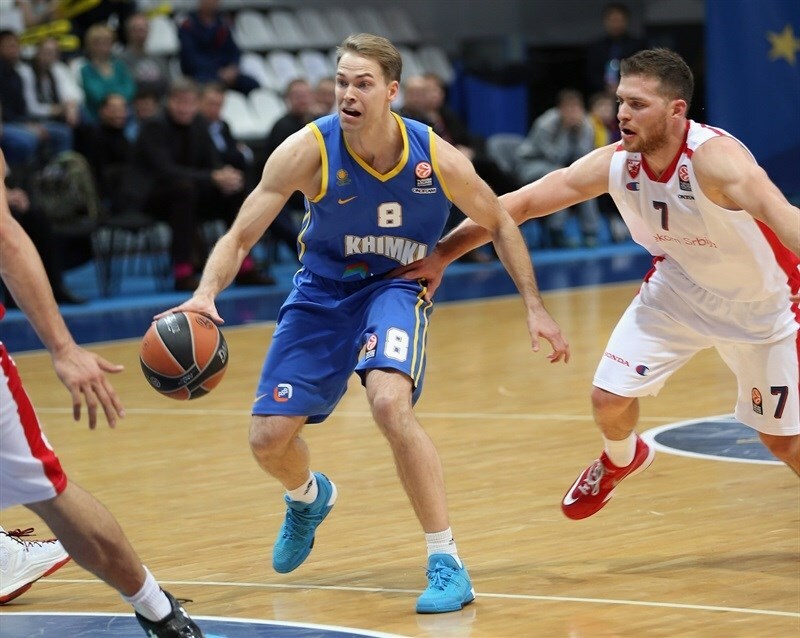 Dragic scored 12 points, Petteri Koponen netted 10 and Shved had 8 points and 7 assists. 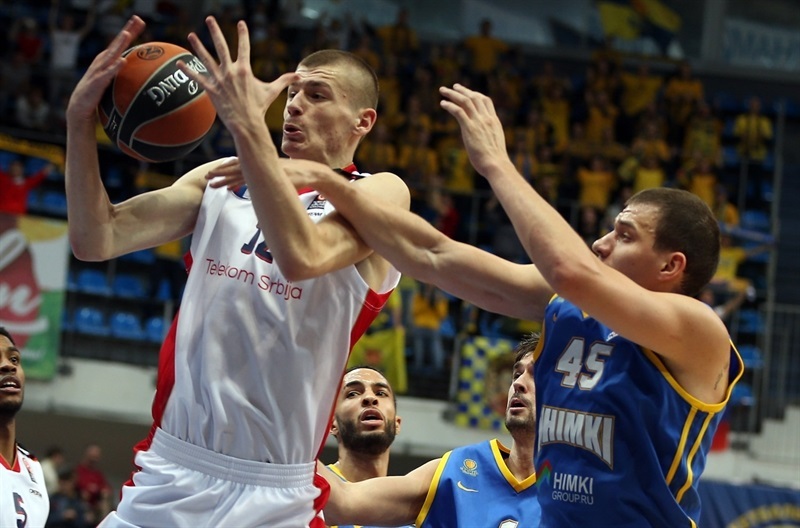 Maik Zirbes was the only Zvezda player in double figures as he amassed 15 points plus a career-high 14 rebounds. 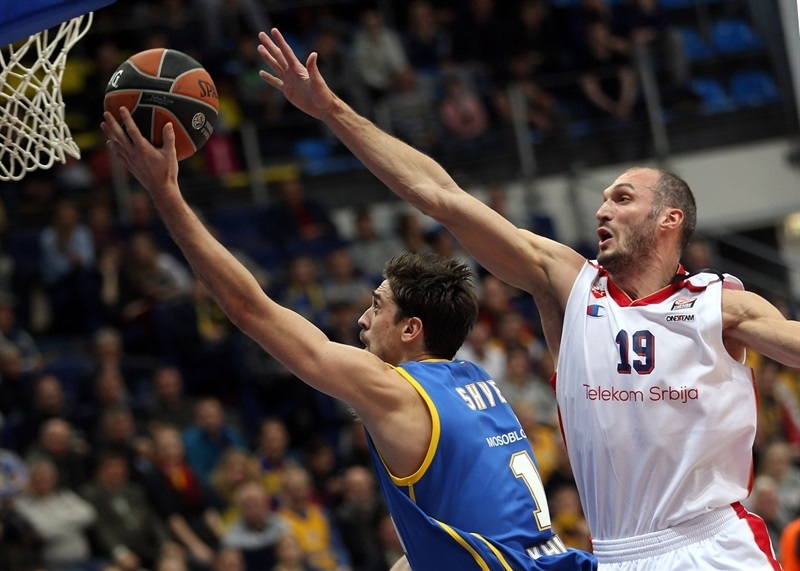 Gal Mekel added 9 points, and Quincy Miller scored 7 points with 5 rebounds for Crvena Zvezda in his Euroleague debut. It took more than 90 seconds after tip-off before Zirbes got the scoring started. 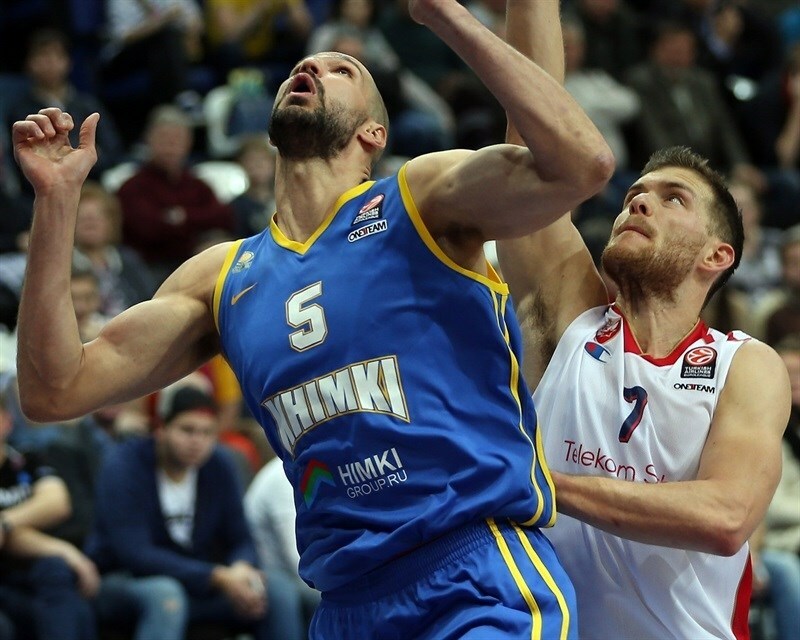 Augustine opened Khimki's account with a turnaround jumper, and Mekel drove baseline for a floater 2-4 start. Baskets were few and far between in the early going, before Tyrese Rice made a steal and raced for a layup to tie the score. Stefan Jovic and Egor Vyaltsev traded triples midway through the quarter, then Zirbes scored inside, making it 7-11. After a timeout, Mekel drove to make a floater and Ryan Thompson made a layup, extending the lead to 8-15. Paul Davis knocked down a baseline jumper for Khimki, but a couple possessions later on the other end, Quincy Miller hit one of his own. 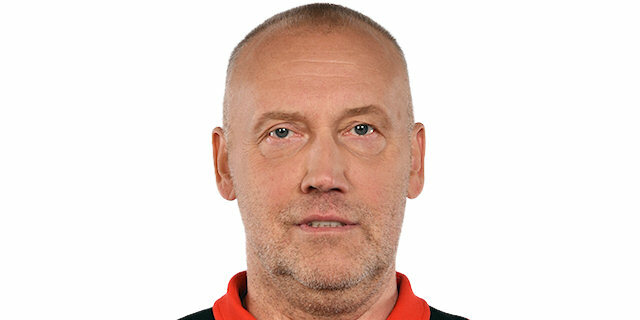 After a timeout by Khimki coach Rimas Kurtinaitis, Dragic strung together 7 points, including a pair of three-pointers, and Sergey Monia added a tip-in to put Khimki in front 19-17. After a timeout, Khimki players hustled to steal an inbound pass in Zvezda’s half of the court, and Egor Vyaltsev hit a three that made it 22-17. Miller ended Zvezda’s scoring drought after 12 consecutive points from Khimki with a pair of free throws at the start of the quarter, but Monia hit a long jumper for the hosts. Khimki continued its run with a Vyaltsev alley-oop dunk, and Davis followed with a tough layup in traffic that made it 28-19. 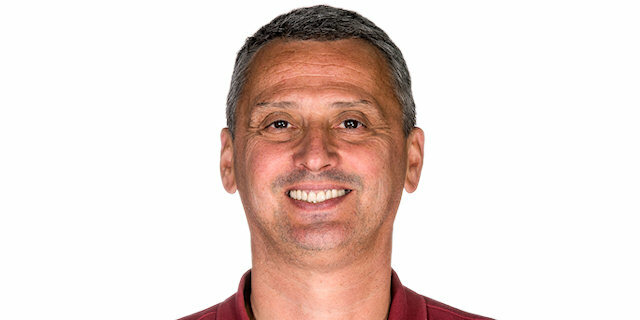 After Monia nailed a corner triple to put the margin in double figures, Zirbes scored a layup, which was the first field goal for Zvezda in six minutes. Davis and Miller traded baskets, but Koponen’s three-pointer extended it to 38-24. Zvezda had a chance to cut into the deficit, but Branko Lazic and Miller combined to hit 3 of 6 free throws, and the hosts extended it to 42-27 through Augustine and Koponen. 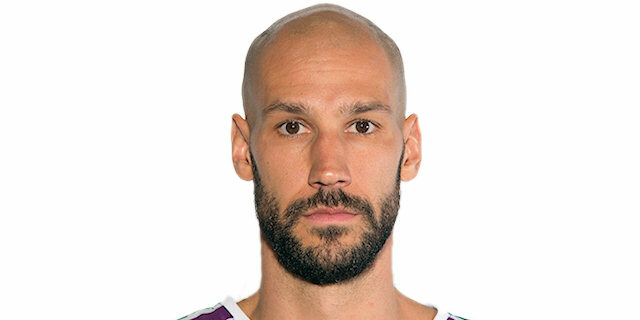 Marko Simonovic nailed one from long range for Zvezda, but Augustine scored an easy layup then assisted for a Shved three-pointer. Free throws from Augustine, and a driving layup by Shved in the waning seconds of the quarter made it 51-30 at halftime. Koponen drove the baseline for a floater, before Zirbes scored a turnaround basket from close range. But Koponen nailed a triple that extended it to 56-32. Marko Guduric knocked down a pull-up jumper for the visitors, and Jovic dished a pass for a Zirbes dunk, 57-36. Augustine put-back his own miss to keep the margin above 20 points, then made an alley-oop dunk after an inbound pass from fellow big man Marko Todorovic. Zvezda was without a single point for more than four minutes, while Augustine added to his tally with free throws that helped made it 64-36. 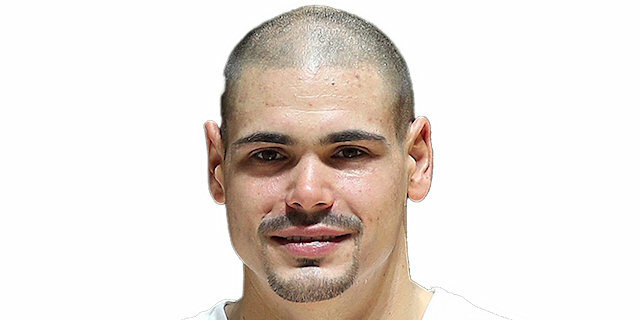 Mekel ended the visitors’ drought with a three-pointer, but Dragic finished a fast break with a layup, then buried a three-pointer that capped a 14-3 run for a 71-39 lead. Todorovic scored 5 points to start the quarter before Zirbes made a tip-in to snap a 19-3 spurt. 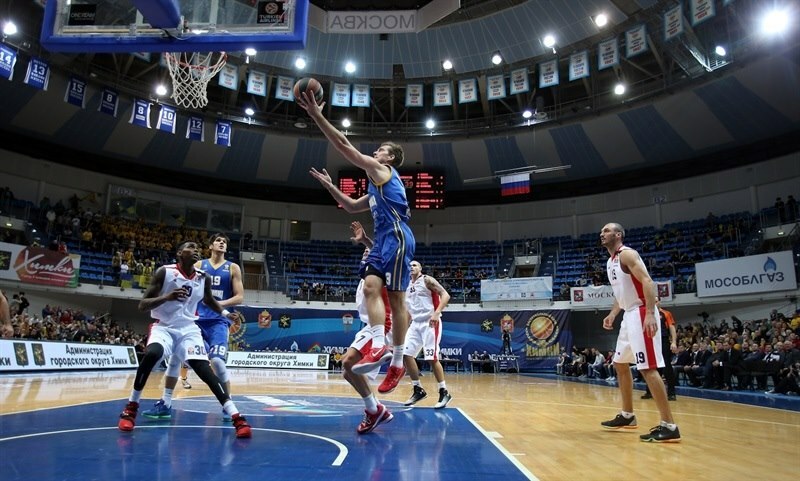 Stanislav Ilnitskiy nailed a three-pointer, and Todorovic scored inside again to extend the lead to 40 points at 81-41. 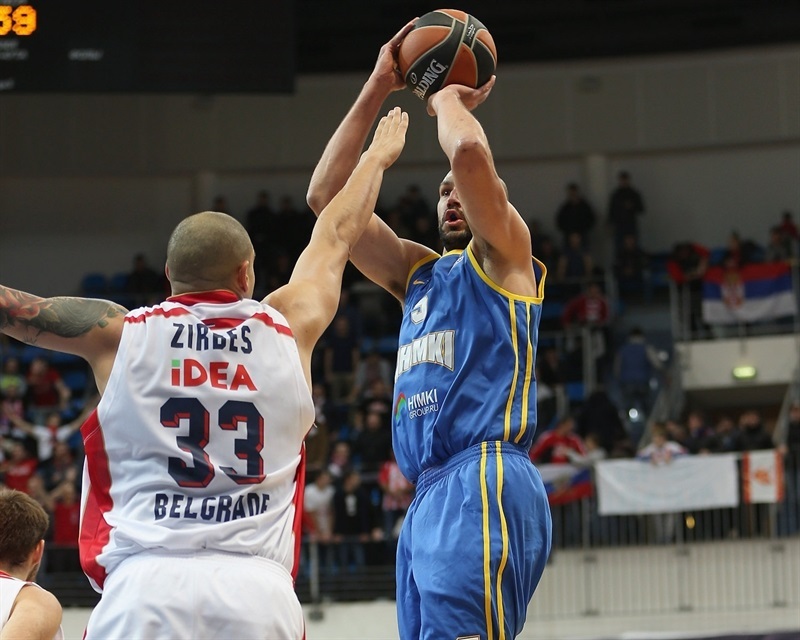 Lazic banked in a runner, but Todorovic slammed one home, then Tyler Honeycutt nailed a corner three, 87-43. Mekel and Simonovic scored uncontested layups for the visitors, and after Shved and Honeycutt made baskets for Khimki, Marko Guduric rounded out the scoring.